Ric Seaberg's Useful Information/Blog: The Lost Morning Reign Tapes, "Belinda"
That’s Eddie James up there, plying his trade as lead singer of Eddie James and The Pacific Ocean, when The Morning Reign visited the famous venue “Gazzarris”, on Sunset Strip in 1969. A four piece band, Eddie and company sounded great as they slammed out R&B flavored tunes like “I Wanna Testify” and their own tune, “Shrink”. 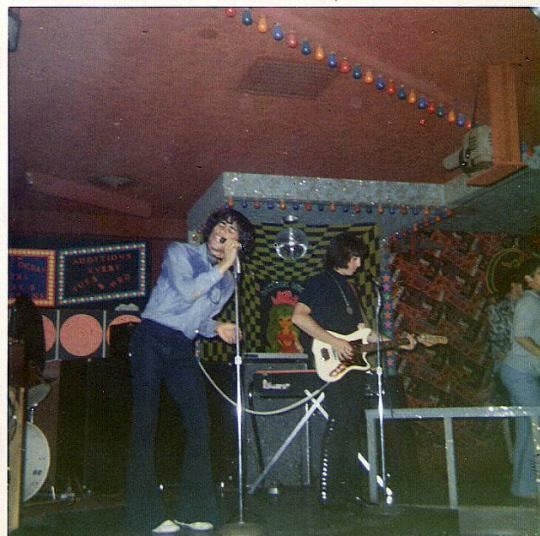 Somewhere in his 20’s, Eddie was definitely the lead singer I aspired to become, beltin’ out rock numbers like a real pro, all gutsy, and rockin’ those cool bell bottoms. We Reign guys sat enthralled, throwin’ back whiskey and workin’ on a groovy thing. The unwed Reign members, lore has recorded, smoothly joined tables of pretty hippie chicks and commenced to tell lies. Something. 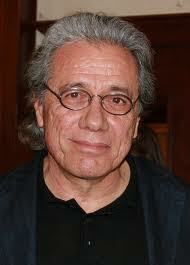 So Eddie James has a so-so musical career and then switches gears and becomes Edward James Olmos, man. You grow up in LA, you work like a dog, stuff like that happens. Good for you Ed. We were rootin’ for ya! Next day, we leave Cac’s house in South Pasadena and drive to Capitol records, where we meet our producers, Mark Wildey and Joey Paige, load in our equipment, and record a few tunes. The song from the lost tapes I have included here is a song Mark and Joe asked us to record, “Belinda”. I remember when I first heard the demo, and thought for sure I was listening to John Sebastian of The Lovin’ Spoonful, and I may have been! But I can’t tell you for sure who wrote it. The genre of Sunshine Pop was all the rage back then, with bouncy little tunes all over the radio, and we were right in the pocket with this one. In about 1985 Cac handed off some old tapes for me to enjoy and keep safe, but I was never able to find this one song, which features me on lead vocals, until our friend, film maker Chuck Stenberg, who produced the awesome film “ The Days of EJD and Concert Services”, found it for us on one of those tapes! So it was truly lost!! You can hear a bunch of Larry and his keys on this one, and of course all those angelic Reign backing vocals. Fire up some incense, splash on some patchouli, pour a glass of Spanada, close your eyes and transport back to 1969! Click here to hear the song "Belinda"